Do something special for someone special, by hiring an anniversary party cocktail bar. 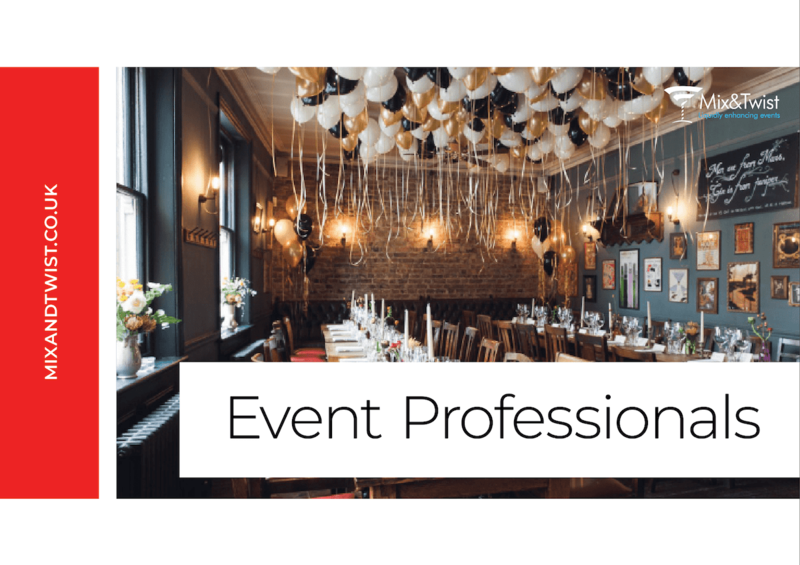 Whether you’re planning your own bash or a surprise for a loved one, anniversary parties are the perfect way to celebrate a lasting bond between two people. 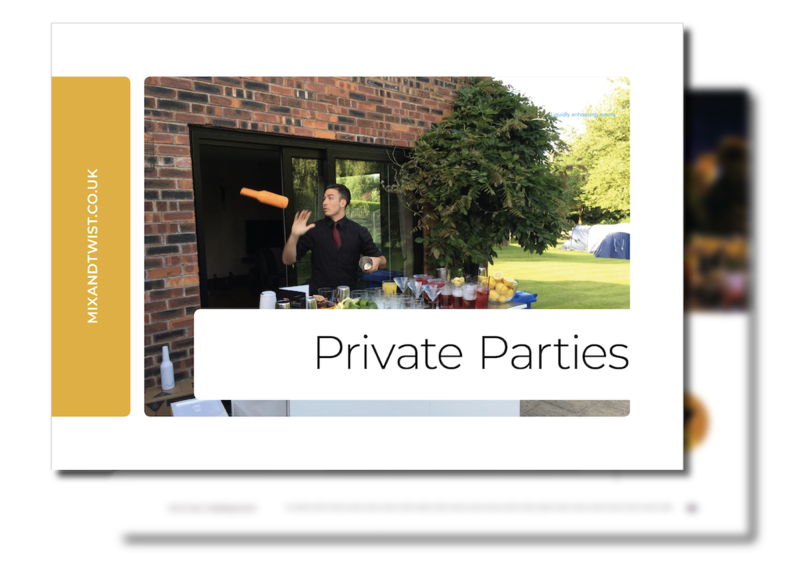 We understand that you’ll want your party to stand out and be as unique as the couple themselves, which is why we’re committed to giving you an anniversary party with a difference. We offer mobile bar hire for anniversary parties of all sizes, ensuring we bring the fun to you no matter where you are. Our mobile bars can be set up at both indoor and outdoor locations, with plenty of customisable features to ensure the finished product is perfectly tailored to you. Choose to decorate the bar with images of the couple themselves, or even name a few drinks after the magical memories that have been shared between the two. 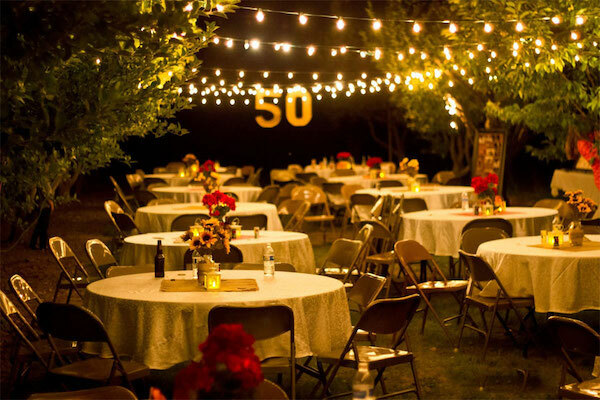 Planning an anniversary party can be stressful enough without the added worry of providing drinks and entertainment for your guests. Mix and Twist are able to take care of both, with tasty, delicious cocktails made right in front of you. We use only fresh ingredients to ensure quality in all that we do, while we also offer mocktail bar hire if a non-alcoholic party is more your thing. We’ll come to the venue nice and early on the day, with plenty of time to set up and get organised before your guests arrive. From then on, you’re free to relax with a drink in hand and let our experienced bartenders and mixologists take care of the hard work for you. Join your guests as you watch the team shake and stir your favourite cocktails to perfection, providing a fun and lively party atmosphere that’s sure to get everyone talking. We serve alot of cocktails at anniversary events and we asked our bartenders what their favourite anniversary cocktail is that guests love the most. 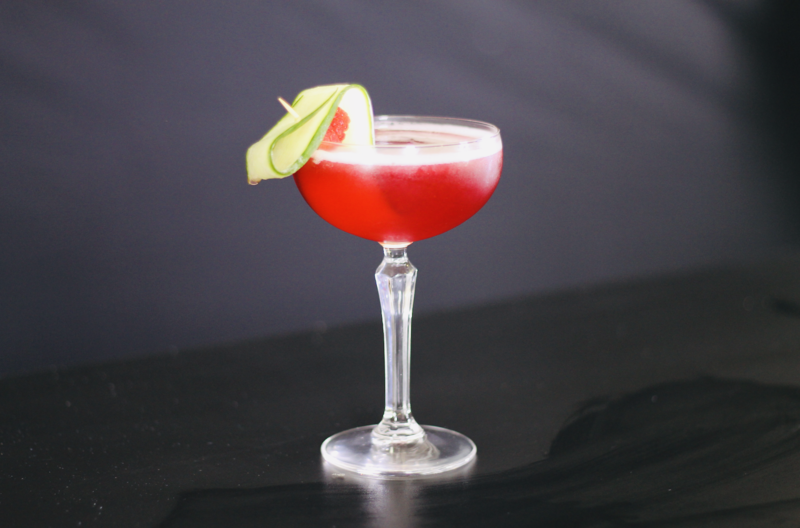 Introducing the Raspberry & Cucumber Martini.